Auston Goolsbee explained the tariffs in a pure economist manner one day. Another day, he tells a story: you see the steel and aluminum tariffs recently announced are like the time his uncle Bob cleared out Aunt Renny's lasagna from a clogged drainpipe using "the bomb" (a now-outlawed product combining a plunger with a firearm charge). Uncle Bob used "the bomb" more than once and didn't take into account that Aunt Renny's drain pipe was connected in a Y with the neighbor's pipes. He cleared out Aunt Renny's pipes but the next day he learned that the lasagna was blown out the neighbor's pipes, onto the ceiling. Steel tariffs might clear out the steel industry pipes, Goolsbee says, but it'll leave lasagna dripping on the automotive, aerospace and any other industry that uses a lot of steel. 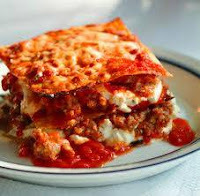 In fact, if the tariff mess is so great, it might mean those industries slow down and then aren't buying as much steel and then the steel industry gets its own mess back...as if Aunt Renny's neighbor stuffed the lasagna down his pipes and used his own "the bomb". In 1964, the US was using 130 million short tons of steel. We produced 98% of it domestically. By 2001, the usage dropped to 116 million short tons; we produced 86% of it. Then President Bush put tariffs on imported steel (14% of usage) in March 2002. He imposed 15% tariff on some steel, 30% tariff on others and left 2 steel product types untouched. Traditional mills still didn't make any profits before the tariffs were dropped in 2003. US Mini-mills had been profitable all along...and were taking market share away from the traditional mills. Steel shortages appeared and affected every industry that used steel. More jobs were lost in other industries than were retained in the steel industry. In 2017, steel capacity utilization was up. US steel demand was up 6% to almost 100 million metric tons. US mills supplied 82% of the demand. Steel production was up. Imports were up also by 15% but dropping 11% at the end of the year. The top 3 countries for imports are Canada, Brazil and South Korea--all allies. Those 3 with the next 3--Mexico, Turkey, Japan--comprise 60% of the imports (i.e. China is lumped in with others comprising something less than 5% of the imports). US production was up 3% from 2016 while world production was up 5%. If you look only at the steel production decreases, you'd think the US steel industry was being bullied by the world (aka China). But demand has also dropped in the last 17 years. Imports were 35% of steel consumption in the midst of the 2009 recession. However, import 'penetration' has been cut in half since then. As many economists, including Goolsbee, have said, tariffs are not a good answer to an imaginary problem. Production is up and if there's a chance for more employment in the steel industry, it's because demand is up. Tariffs create an artificial bump that hurt more than help.